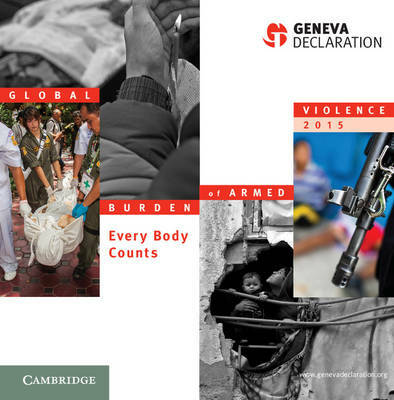 The 2015 edition of the Global Burden of Armed Violence provides a wealth of data relevant to security and the post-2015 sustainable development framework. It estimates that 508,000 people died violently - in both conflict and non-conflict settings - every year in 2007-12, down from 526,000 in 2004-09. This trend is visible in non-conflict settings, where the proportion of women and girls is also slightly reduced, from 17 to 16 per cent. Yet, the number of direct conflict deaths is on the rise: from 55,000 to 70,000 per year over the same periods. Firearms are used in close to half of all homicides committed and in almost one-third of direct conflict deaths. Nearly USD 2 trillion in global homicide-related economic losses could have been saved if the homicide rate in 2000-10 had been reduced to the lowest practically attainable levels - between 2 and 3 deaths per 100,000 population.